See the sagging back? Unless this posture is corrected – and it IS easily corrected with the right approach – this kind of sagging back will make arthritis SEEM incurable. I understand why vets think that arthritis in horses is incurable – it’s because the horse’s posture is the biggest key to healing it and the vast majority of horses have crappy posture caused by tension of some description. Yeah yeah yeah – tension – that thing that most people don’t know how to solve for themselves let alone their horse – and posture – the most boring word on the planet. How can I get people to realize that when a horse is carrying themselves with ease and oozing self satisfied well being, that we are watching posture poetry that makes my heart sing and probably puts a smile on your face too? Think about it folks. Like the horse in the photo here, 99 % of horses I see out there have backs that are sagged in the wrong direction to some degree, bracing themselves. Every bit of tension that is causing a brace in your horse’s body as you are riding, is ADDING to the jarring that is happening in those incorrectly working joints, eventually causing joint problems or making current joint problems worse. We humans too, have poor posture that is usually caused by tension. 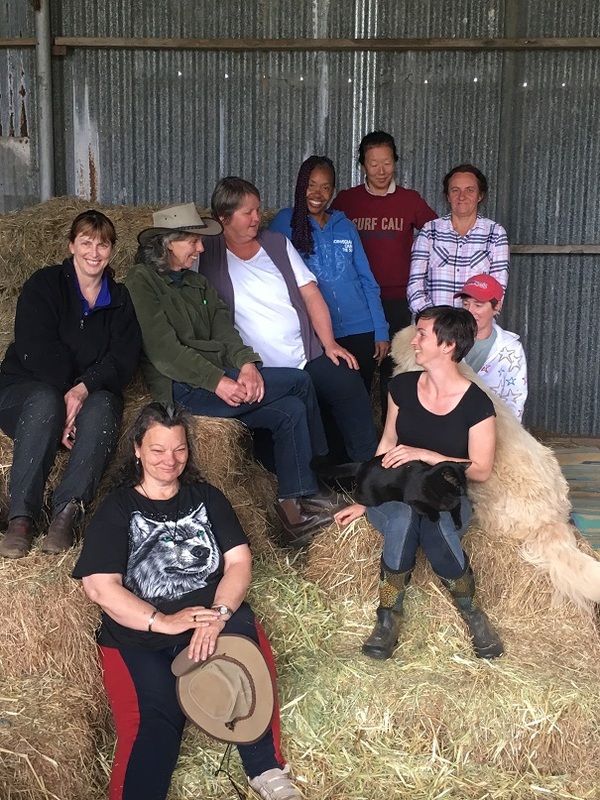 In our human arthritis program, a staggering 2/3 of the participants are getting a dramatic reduction in pain with the posture work alone and our horses can get the same positive results. Feel the effect of an arched back for yourself. Have a bit of a walk around the room right now. Yep, get up out of that chair and walk around right now. Arch your back and notice how that makes you feet hit the ground harder and feel how that jars up into the joints further up your body. We start fixing arthritis when we create an environment where the horse is filled with a sense of well being and old tensions are released. THEN our horse’s posture will improve. THEN those joints will operate smoothly and easily, THEN we are creating an opportunity for their body to start healing the way it was designed to – and THEN other factors such as minerals and supplements can play their part effectively. No wonder vets think arthritis isn’t fixable. 99.9% of horses are being ridden with their back in a slightly arched position, that makes arthritis SEEM incurable. And yet arthritis IS fixable and although it takes some effort, it is not hard. 1. 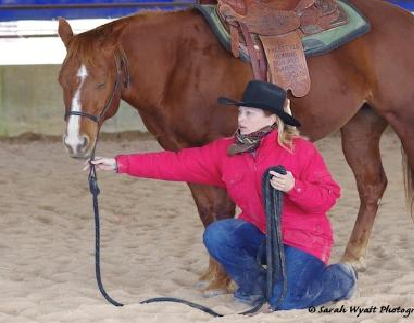 Even inexperienced riders are capable of helping a horse to release the stress and tension from their bodies that eventually causes conditions like arthritis. 2. Even inexperienced riders are capable of helping a horse to move in beautiful posture that can then be the foundation for their body’s healing. 3. Even inexperienced riders are capable of helping their horse to be in self carriage (the right posture for healing) because it is not complicated to do once you know how. And I’ll say it again… We start fixing our horse’s arthritis when we help them to release old stresses and tensions, find a feeling of well being and thus improve their posture. This is such a simple path to good posture. Good posture has a positive pain relieving effect on the damaged joints, THEN our horse’s body can start healing the way it was designed to, THEN other things like minerals and supplements are able to contribute to a positive outcome. I watch people doing all kinds of lovely things with their horses, spectacular stuff in natural horsemanship, beautiful movements in classical dressage, the smooth and glorious movements of a good cow horse – but ALL OF THEM are as crap (yes CRAP!) if the horse tenses up a tiny fraction when the halter or bridle or saddle goes on or when they have to pick up their feet for trimming. I’ve had horses who carried buckets loads of tension from being ridden and yet were generous enough to allow it, horses who were frightened of traveling and yet got on the trailer, I have owned 3 horses who had deep tension about their rugs and yet they had been rugged almost every day of their lives before they came to me, one who was scared of going in a yard, quite a few who were worried about gates – all of these things contributing to an overall tension that stopped their bodies from healing the way they were designed to. See… we can play the games and do the ground work, but we are wasting our time if this ROUTINE stuff has tension in it. 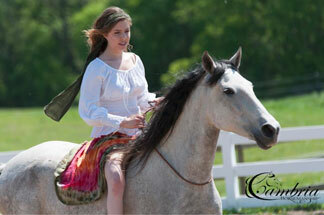 Good posture and healing is impossible – yes IMPOSSIBLE – if the horse is repeatedly tense in routine situations. So… How do we fix arthritis? All it takes is an unselfish commitment to help your horse find a comfort zone in EVERY routine aspect of their life. The RELEASE work that I talk about in The Seventh Key to Happiness, is a simple way for even inexperienced people to start bringing an arthritic horse back to good posture and good health. If you get to the end of The Six Keys (yeah there are seven now but I didn’t want to confuse things) and this gentle and yet simple approach to being with horses appeals to you, then come back to me with your horse’s arthritis story and I’ll help you work out a recovery plan for your horse’s arthritis. What we learn on this journey back to good health for a horse, usually prompts a journey to a deep sense of well being for a rider as well. And what a gift from our horses that is.. Yes, yes, yes, the six keys will be the next steps for us now when Ameri K is doing better. We started to trim his hooves yesterday and he has soo muh more stuff to release. But we want him to lift when he is ready and sometimes we have to wait for him to process and release before he take his hoof from the ground. Haven´t we done this before? Oh yes! But it seems to a lot of stuff in this guy. And Jenny it is wonderful to here or read that you don´t need to be an experinced rider for helping your horse. It is about listening…and feeling and heart…. I think that’s the big deal too, hey Anna Karin? A technique for releasing emotional stress and it physical repercussions, so simple that we don’t need any experience at all to help our horse. I have been enjoying hearing about Ameri’s progress. A brilliant reminder… to check back into the Six Keys when I want to start working on anything new, or anything that has reappeared that has previously been worked through. A great reminder for me personally too. Best post yet. Oh gosh. Have I said that before?………. Thanks Jenny – this is the prod I needed in really starting to work with my horse Boomer with regard to his arthritis in his left leg. If I can ride him freely again it would make both of our hearts soar!